Because it’s intangible, your author brand isn’t always easily defined. Think of it as the sum total of how your readers’ perceive you and your writing – ideally molded and fashioned by how clearly you communicate your vision or the purpose behind your work. Combine this with the fact that ‘a brand’ is also comprised of several different (but interrelated) elements that evolve over time, and it’s easy to see how authors can quickly slide off course. Often making career-threatening missteps with their brand and platform. It’s hard to overstate just how important it is to gather and utilize any insights you can about your current and future readership. Yet the majority of writers who struggle to gain traction use assumptions, broad generalizations or their own internal points of view rather than taking the time to truly understand their ideal readers’ desires and interests. It’s not really necessary to have a solid understanding of my ideal reader or their needs. My work is for everyone. Your goal is NOT to please everyone. It’s to delight, impact or influence those people whom you’ve identified as your core readership. By targeting too broad of an audience, your branding, your marketing and even your writing may suffer from the lack of focus. A critical component to having an unforgettable author brand is curated content, visuals and stories that are made for a specific reader in mind. Sharpening your reader research, allows you to develop targeted marketing campaigns that are highly relevant to your most valuable reader segments. You must speak to their pain points, their desires – not offer some generic tripe. You also need to be able to create an emotional connection with your reader – often before they’ve had a chance to read your book. So don’t make it hard for people to like or learn something from you, and skip the urge to talk about you or your book without adding value. Dig deep into what makes them tick and obsessively learn everything you can about the people who are most receptive to your message. It’s difficult to make informed decisions about your brand and author business, without first taking the time to understand the dynamics of the industry. Influencers, trends, events, and even industry innovations will affect how your readers view you in the context of other choices that they could be making. Carefully research your market or genre and analyze both your direct and indirect ‘competitors’, potential collaborators and industry influencers. What are they doing to influence reader perception and behavior? Who are the bestselling authors or comparable titles in your niche/genre? What are their strength’s and weaknesses in terms of branding, audience engagement, book promotion, marketing campaigns, and so on? How are your potential readers searching for solutions online and off? Assess the look, feel, and mood of the industry and the key players. Do the same for your specific genre or topic. What do you note? Study the language, tone, and verbal style of other authors, organizations or businesses that are attempting to reach your ideal audience. Take cues from what you learn and find ways to do it better than they do it. Just be careful not to get caught in the trap of replicating their efforts in hopes of getting more attention. The last thing you want is to look like you suffer from ‘hive-mind’, making it even more difficult for your readers to distinguish you from other writers in your genre! We’re hard-wired to notice what’s distinctive. If you focus too much on matching what other authors in your genre are doing, you miss opportunities to capitalize on your own unique strengths. 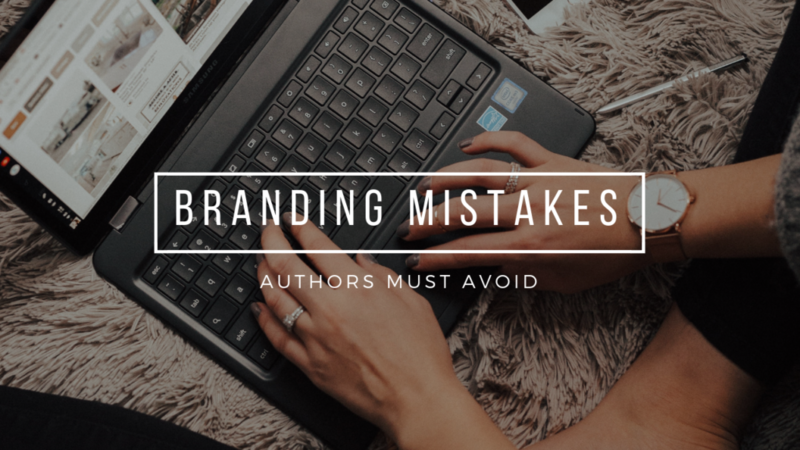 And if your author brand touts a clichéd, unmemorable, or meaningless point of difference, readers will be unable to distinguish your work from the thousands of other authors trying to grab their attention. A strong author brand is built on a strong core identity: your purpose, vision, mission, and values. But if you’ve never taken the time to flesh out or articulate these elements, your brand likely doesn’t stand for anything (nor does it promise anything). 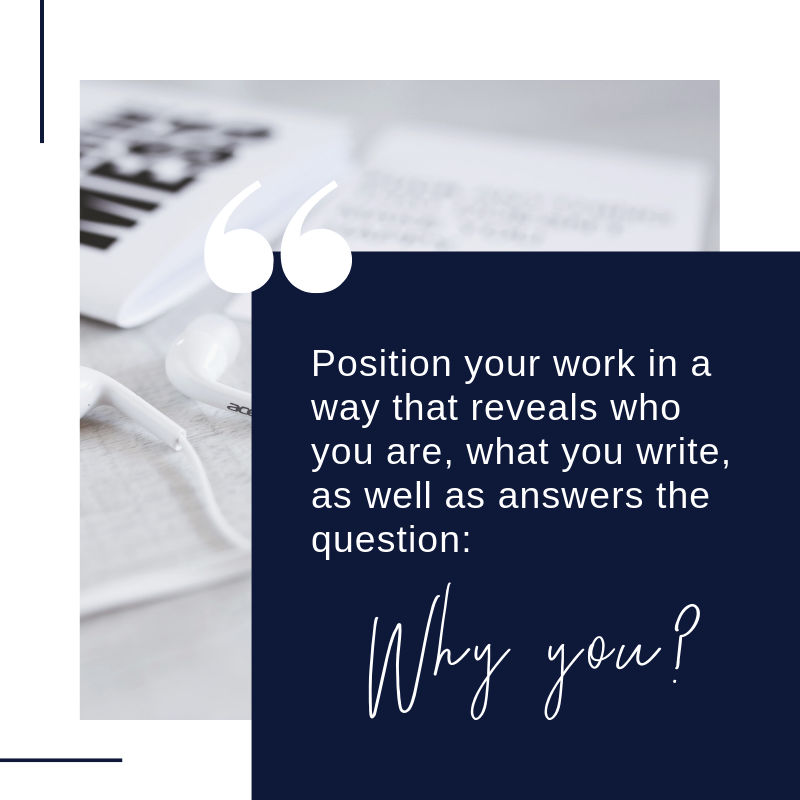 Positioning your work in a way that reveals who you are, what you write, as well as answers the question, “Why you?” can make your author brand exponentially more memorable to readers searching for unique solutions or experiences. The strongest author brands occupy distinct niches in their readers’ minds, so it’s important to assess (or reassess) whether or not what you are putting out into the world, accurately reflects your personality, beliefs and core values. Only then will you be able to differentiate your author brand in clearly identifiable ways, outline your unique areas of advantage or value, and claim a unique and defendable position in the market. Mistake #4: Using ‘Cheap’ or ‘Free’ and Thinking it Won’t Reflect on Your Work or Brand. As we’ve established, reader perceptions are intrinsic to your author brand. And if people’s impressions of your writing are less than stellar due to quality issues, inconsistencies or lack of professionalism – your brand (and sales) will suffer. Sometimes you can get away with free or inexpensive options to build your brand and platform, but you need to be mindful of the image you are portraying if too many corners are cut. 1 // A poorly designed, cluttered, or slow-loading site that is not mobile friendly. Simple navigation and usability are important, as confused and frustrated readers don’t buy. (For more on why you should have a self-hosted rather than a free WordPress.com site, check out this post.) Make your online storefront is worth the visit. 2 // Your “packaging” is outdated or amateur. A strong book cover design will catch a reader’s eye, capture their interest and communicate what the book is about. If you don’t have the skills to accomplish this (and you likely don’t), you’ll need to hire someone who does. 3 // Your book has quality problems or is inferior in other ways. If your book is full of typos, spelling errors, grammatical errors, formatting errors (or the story itself is just plain bad), you’ll need to fix these issues before you promote it to potential readers. Whether you are (or hope to be) traditionally published, self-published or a hybrid author, you must maintain at least a minimum threshold of professionalism to ensure your credibility with readers. If you don’t believe that your writing and author business is worth investing in, neither will anyone else. Today, consumers are becoming more vigilant about the brands they interact with, both online and off. They do their research seeking brands that are authentic, honest and provide what they say they will provide. It’s no different with readers and the authors they discover, read and follow. When an author delivers on his or her promises, a loyal and engaged community begins to form, where readers tell friend after friend, and word of mouth starts to carry that author’s books and brand further into favor. If you break your promises or fall short on the emotional connection your readers desire, it shatters readers’ trust. A strong, effective author brand, on the other hand, will inspire people to feel connected to your writing and your vision. Authors significantly underestimate the impact of bad brand experiences. And it’s not only about your books, but also your website experience and every other touch-point where customers come in contact with your brand. Do you lack an understanding of your readers’ needs and interests? Have you neglected to create the feeling you hope to elicit from your reader? Are you providing a way to contact you when necessary? Are you promoting books, products or services that are below par or not what is expected? Have you kept up with industry innovations or genre expectations? Is there an issue of not communicating with your audience, or encouraging input/feedback? Are you posting, emailing or sharing content that offers no value or helpful insight? List out all of the actions, thoughts, and emotions your readers currently experience throughout their interaction with your brand. Try to reduce the number of steps or actions a reader needs to take to achieve their goals. Analyze what content you have available today, what you need to create, and what future content would delight your ideal reader. Knowing exactly what you want your readers to do, as well as what they’re hoping to get from you, will allow you to be more captivating, useful, and supportive to your readers along their journey. Mistake #6: Messaging and Visuals are Haphazard and Inconsistent. If your visuals and the message you share are inconsistent across channels, it will be difficult for readers to recall (or even relate) to your writing, books or anything else you offer. And if readers can’t instantly recognize you or your work, you remain indistinguishable from the herd. The best way to stay consistent with your brand is to create a style guide – a document that specifies how to take all brand-related elements and unify them into a complete, cohesive system. Try Pinterest for inspiration on creating your author brand style guide. Collect inspiration and samples, making specific notes of what you like and don’t like. Create your brand story based on your mission, vision and values. Create your logo, and include all approved variations. Determine your color palette and typography. Decide on the imagery you’ll use, as well as voice/personality and messaging. These ‘rules’ or guidelines on how to use your brand assets will help to ensure consistency every time. Plus, they also solve issues like “posting for the sake of posting” (with no specific goals in mind and no plan for the type of content you want to create). 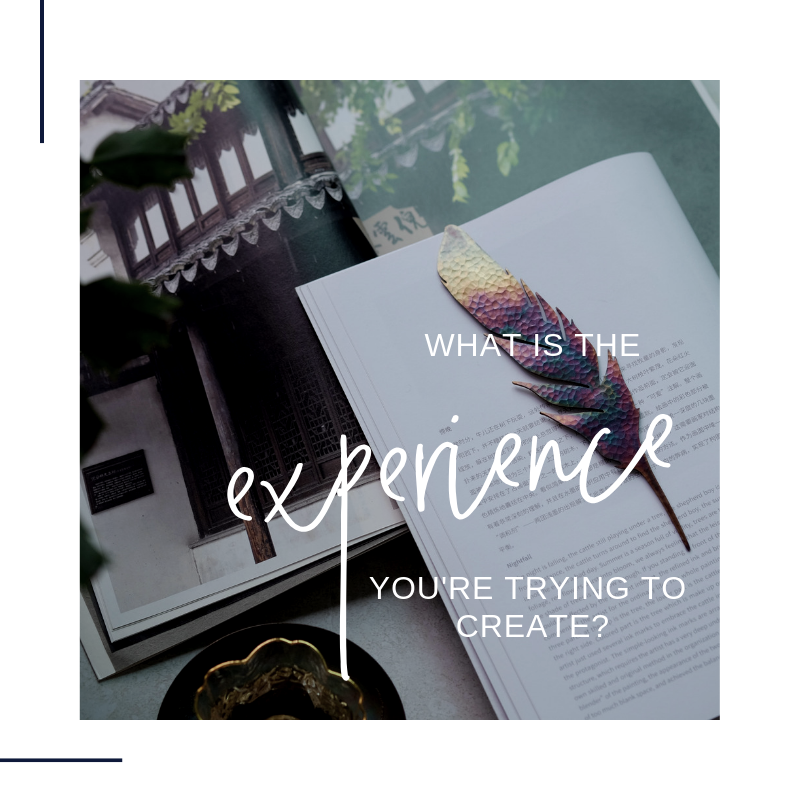 Do you hesitate at the idea of branding yourself or your work because writing in one genre, or only for a specific, well-defined, well-targeted group of readers, cramps your creative style? Many authors find it too restrictive to stick to one topic or genre, preferring instead to explore and experiment. And of course, from a creative perspective, this might be ideal. However, from a marketing and business perspective, it can be problematic. Writing in multiple genres equals more work (and often) less income. It’s hard to build traction in one genre, let alone several. And switching or jumping genres leads to building multiple smaller audiences instead of steadily building a larger, more engaged fan base. 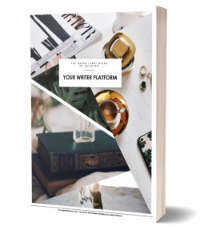 You didn’t do all the hard work up front to identify and effectively communicate the essence of your author brand, just to muddy the waters with frequent diversions and literary tangents, confusing and frustrating your readers. Frequently revisit the vision you have for your writing career to ensure that any new direction involves foresight and a plan to implement that doesn’t derail your momentum or adversely effect the community you’ve worked so hard to build. 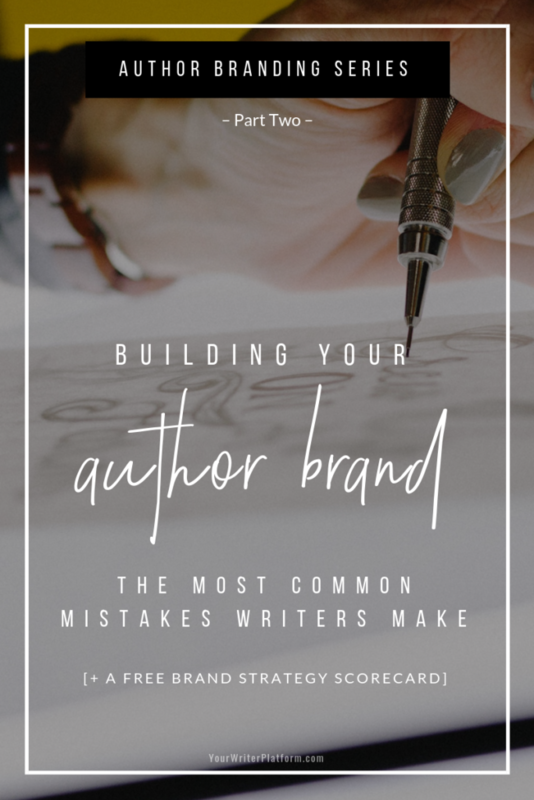 Since many authors aren’t convinced that building an author brand is, arguably, one of the most critical aspects of developing and building their author business, it comes as no surprise that even fewer authors are thinking about measuring their brand-building efforts. As technological capabilities advance, it allows authors to measure the effectiveness of their campaigns overall, as well as at a more granular level. 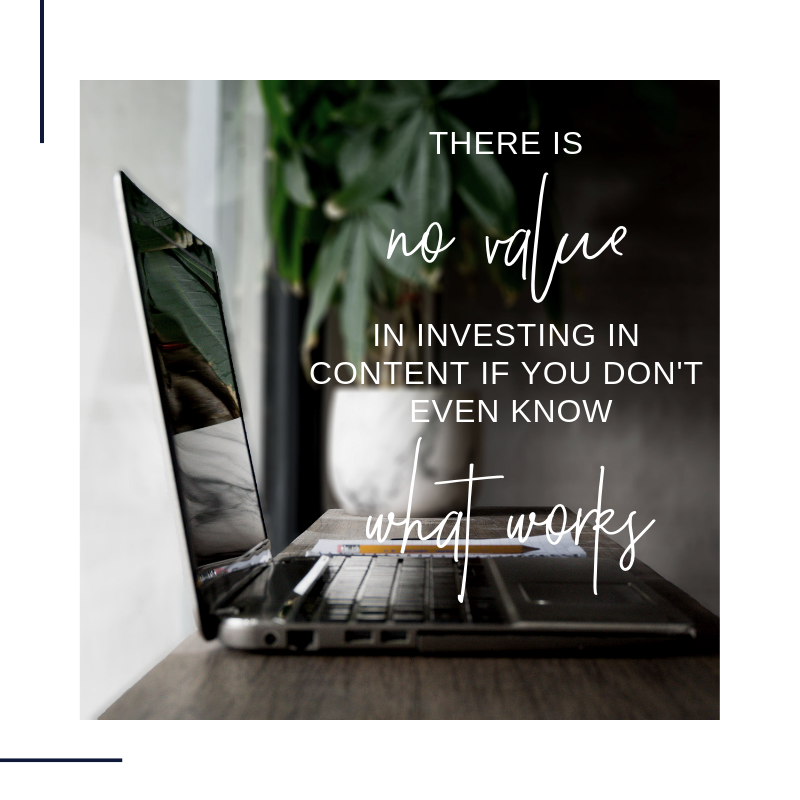 There is no value in investing in content if you don’t even know what works. Metrics and relevant data can be used to track and monitor what’s working well, and what’s not, allowing you to make better decisions about where to spend your limited budget and resources to make the most impact. 1 // Set goals and milestones. What exactly are you trying to accomplish, or what goals are you trying to reach? Set out benchmarks and track progress, and don’t forget to revisit these goals once the campaign is complete to see how it measured up to expectations. 2 // Utilize the power of data. Monitor your brand activity across all channels in order to gauge engagement and reach. Analytics and testing can be used to gain insights into the demographics of your readers, their awareness of your work, or to discover new areas of opportunity. 3 // Analyze the data you gather in context. Ensure you get a more complete picture of your brand-building campaigns by considering the data you collect in relation to other important indicators of success. For example, a giveaway campaign designed to build your community and email list may result in hundreds of new subscribers, but how many will purchase your book or write a review? How many unsubscribe within a week? 4 // Listen to what people are saying about you. During and after a brand campaign, look for mentions, referrals, shares, reviews and comments about you, your books and your author brand. What are readers and influencers saying, and how will you factor their experiences into the results of the campaign? What can you take forward to the next promo? Authors often get bogged down in the here-and-now results rather than looking at the long-term aspirations and objectives for their writing career. Most start with faulty assumptions and waste a lot of energy, time and money on ‘tactics’ that bring no advantage. Having a plan enables you to build buzz and maximize results around campaigns or events, keep your readers interested, and attract new eyes to your books and other content – all while staying true to your vision and core values. Define (or refine) your author brand’s core identity. Identify your desired outcomes and strategic objectives. Position your brand and highlight your value proposition (what makes you attractive to readers). Discover your brand personality, voice and narrative. Configure the ‘architecture’ of your author brand. To help you prepare, download the Author Brand Scorecard – a simple way for you to evaluate your current author brand strategy (or lack thereof).